He got confused about European history, in a meeting to commemorate European history. 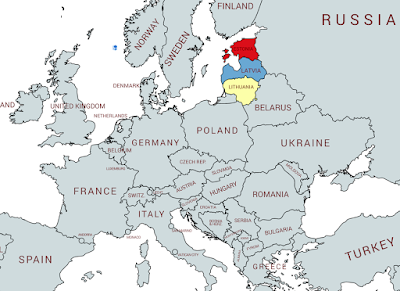 Latvia, Lithuania, and Estonia are the countries known as the Baltic states, or simply the Baltics. They are located on the Baltic Sea, south of Finland. The leaders of those countries, now NATO members and military allies of the United States, were part of a diplomatic conference in Paris to mark the 100th anniversary of World War I. At a meeting with them, Trump accused them of being responsible for the horrific wars that followed the breakup of the former Yugoslavia. 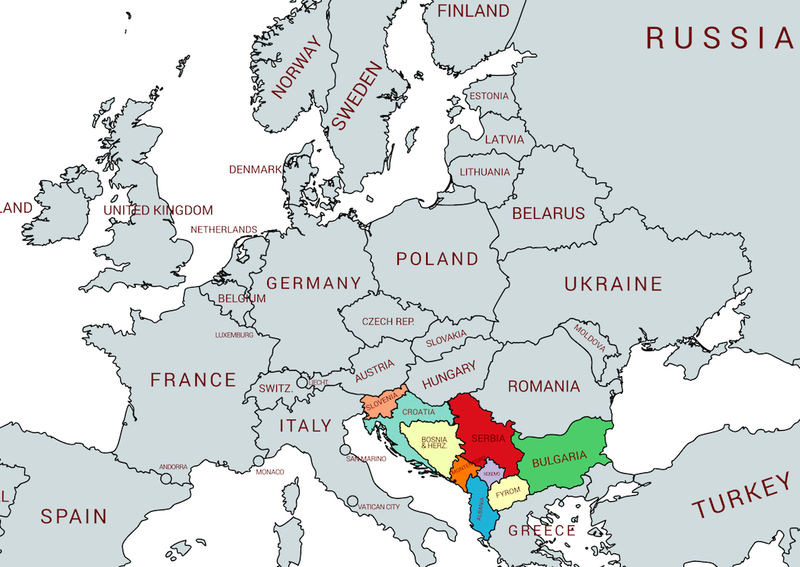 The countries in the region of the former Yugoslavia are known as the Balkans. They are located about a thousand miles south of the Baltics, and had nothing to do with the Yugoslav wars. As the French newspaper Le Monde reported, "It took [the Baltic leaders] a few moments to realize that the American president had confused 'Baltics' and 'Balkans,' as he was apparently poorly taught on the matter by his wife Melania, who is originally from the former Yugoslavia." To be clear, this was not simply a slip of the tongue because of the similar words. Trump knew that he was addressing the leaders of Latvia, Lithuania, and Estonia. But that seems to be all he knew. One possible explanation—other than that Trump not knowing—is that jet lag and stress were taking their toll. Trump spent much of the plane ride to Paris writing increasingly angry tweets about election results he didn't like. That tweet-storm culminated with Trump attacking his host, French president Emmanuel Macron. (Macron is normally quite adept at soothing Trump.) Later in the day, Trump was scheduled to attend a ceremony at the American cemetery in Belleau, where more than a thousand American servicemembers are buried. He was unable to attend. Presidents don't have to know every fact, but they do have to know enough not to accuse allies of committing atrocities in wars they had nothing to do with. Presidents who can't handle the mental or physical stresses of the job should resign.